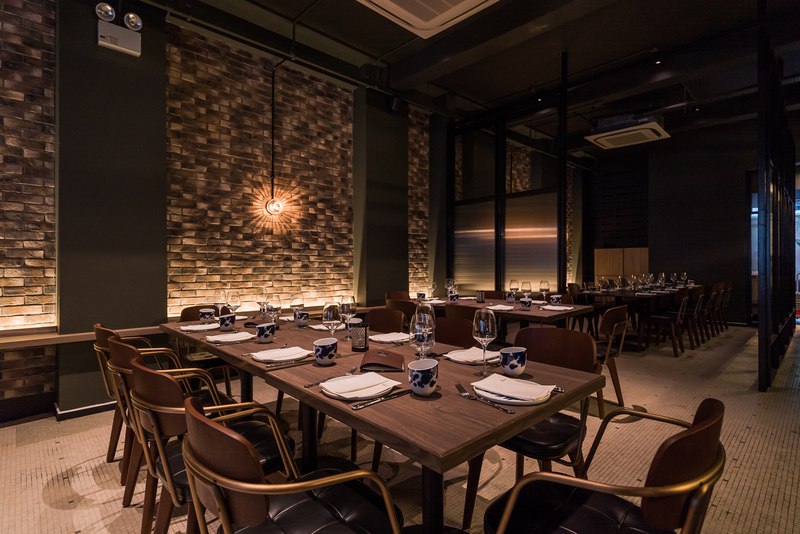 Hong Kong street has long been one of our go-to places for post-work grub and tipples. With its variety of eateries and watering holes the likes of one-Michelin-starred The Kitchen at Bacchanalia and 28 Hongkong Street (which came in fourth at the recent Asia’s 50 Best Bars), as well as its proximity to the nightlife enclave of Clarke Quay, it has everything one needs for a good night out. 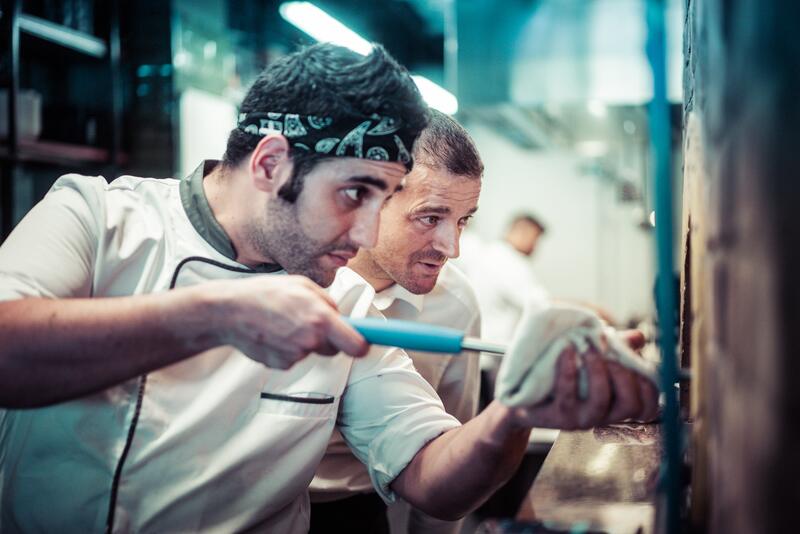 New to its gastronomic scene is Amò, an Italian restaurant run by the Illido Group. Named after ‘amore’, the Italian word for ‘love’, it offers sharing portions of antipasti, pizzas and pastas. Amò is a cosy Italian spot along Hong Kong street. Amò’s shophouse was previously occupied by a warehouse selling dried cuttlefish and foods. Some elements of the original venue remain, such as its vintage mosaic floor tiles and a metal gate across one of its glass walls. The rest of the space, however has been transformed into a homey spot dressed in warm colours and adorned with wood and stone furnishings. Exposed brick walls add a dash of industrial-cool to its cosy ambience. The restaurant is also equipped with a 12-seater dining room, which can be booked for private functions, and an outdoor courtyard decorated with a hand-painted, foliage-inspired wall mural. 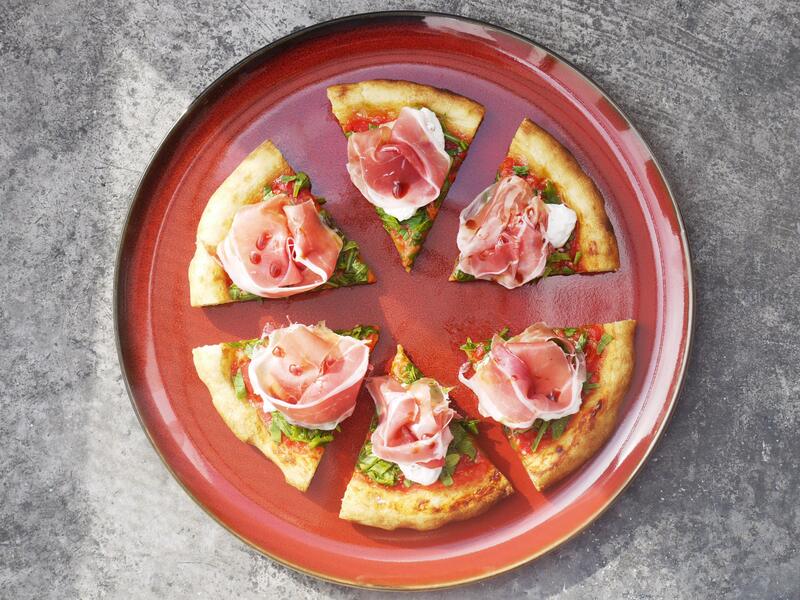 Amò serves a repertoire of contemporary Italian fare, and counts pizzas and pastas among its main highlights. Much effort has gone into its pizza-making technique: Prior to opening, its chefs enrolled in a dedicated pizza academy in Puglia so they could learn to perfect their dough. Illido Group owner Beppe De Vito (in background) and a chef baking pizzas in the wood-fired oven. All of its pizzas are created using natural leaven, semolina, extra virgin olive oil, and aged mother starter, which is made in-house. These are baked in an Italian-made stone wood-fired oven using imported almond wood. Curious to try them for ourselves, we ordered two options from the restaurant’s Signature Pizzas range. 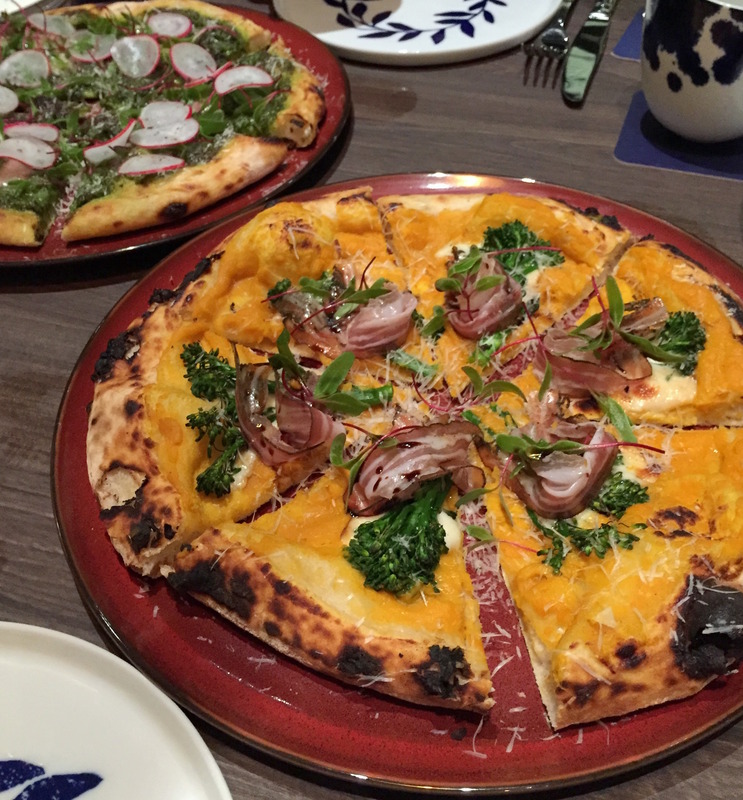 First to arrive was the pumpkin pizza (S$28), which came coated in smoked mozzarella cheese and topped with pancetta and friarelli, a type of vegetable from Italy. The combination may sound rather odd, but it worked surprisingly well, with the saltiness of the pancetta and cheese helping to cut the sweetness of the velvety pumpkin purée. The pie was light and crisp on the crust, before giving way to a chewy, focaccia-like texture. This was consistent in the restaurant’s bone marrow pizza (S$29), a savoury treat that came layered with wild garlic pesto and anchovy salsa verde. The bone marrow was soft and buttery, and its rich taste was tempered by the earthy pesto and salsa verde. The pumpkin pizza (front) and bone marrow pizza (back). What we appreciated was that the pizzas at Amò are presented pre-sliced, and each piece is individually garnished with an equal amount of toppings — so we didn’t need to tussle over a “meatier” slice, or make a mess while attempting to cut up the pie. If you’re more inclined toward traditional pizza options such as Margherita (buffalo mozzarella with tomato and basil) and Marinara (tomato with garlic and oregano), the restaurant also offers these under its Classic Pizzas section. One of the other offerings in Amò’s pizza repertoire. Another key item to try at Amò is its pasta, which is freshly prepared with eggs and semolina. It also utilises dried imported pastas made from durum wheat semolina in some of its dishes. 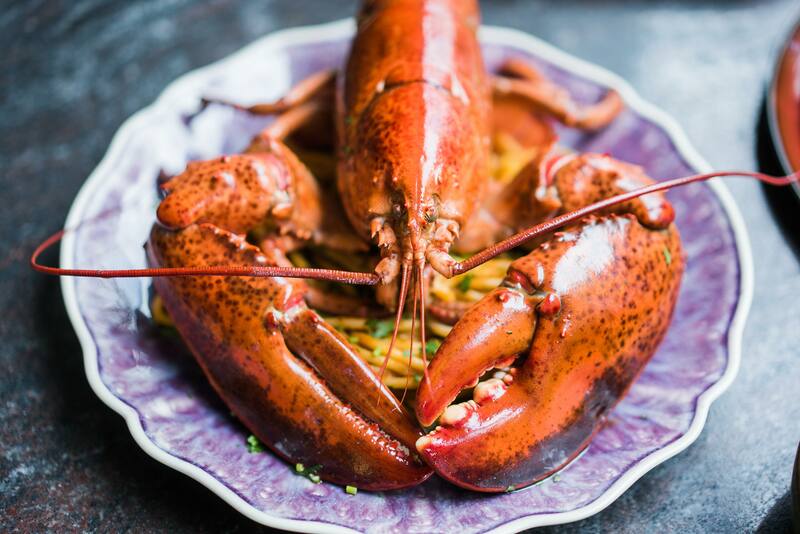 We picked its signature spaghettoni with Boston lobster and tarragon (S$78), which comprised a massive heap of pasta topped with large chunks of the crustacean. The lobster arrived pre-segmented into pieces, which made it a fuss-free affair to eat. We enjoyed scraping out its sweet flesh and wolfing it down with the springy spaghettoni, a slighter thicker version of spaghetti. The dish is meant to feed two, but we reckon it’s more than sufficient for a slightly bigger group due to its generous portion. The generously portioned lobster spaghettoni is a delight to eat. For those avoiding carbs like the plague, Amò has many other dishes to choose from. A standout was its appetiser of delicately soft zucchini flowers (S$26), which were stuffed with salty mortadella (Italian-style luncheon meat) and set on a bed of lemon honey dressing. Pistachios were thrown into the mix for crunch. We also liked the grilled octopus (S$35), which came slightly charred and paired with sides of zesty Calabrian chilli vinaigrette and sweet Friggitelli peppers. 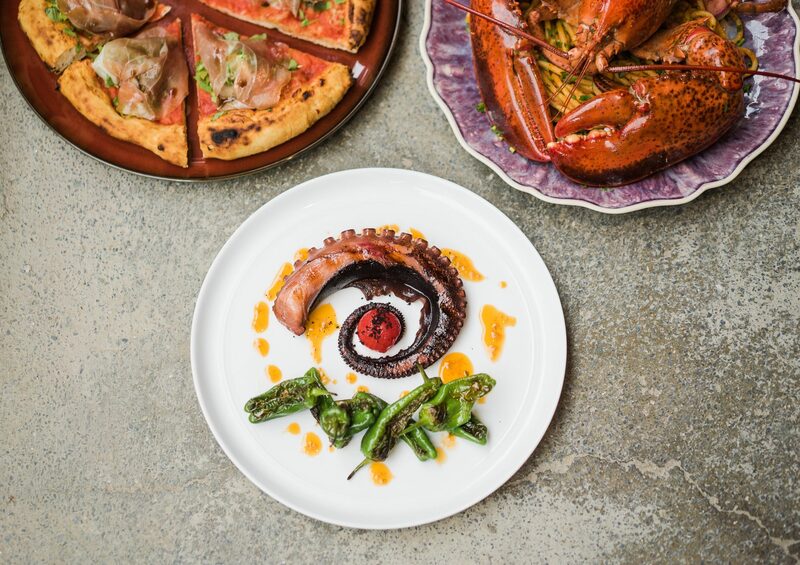 The restaurant’s octopus is sustainably sourced and imported from Australia. 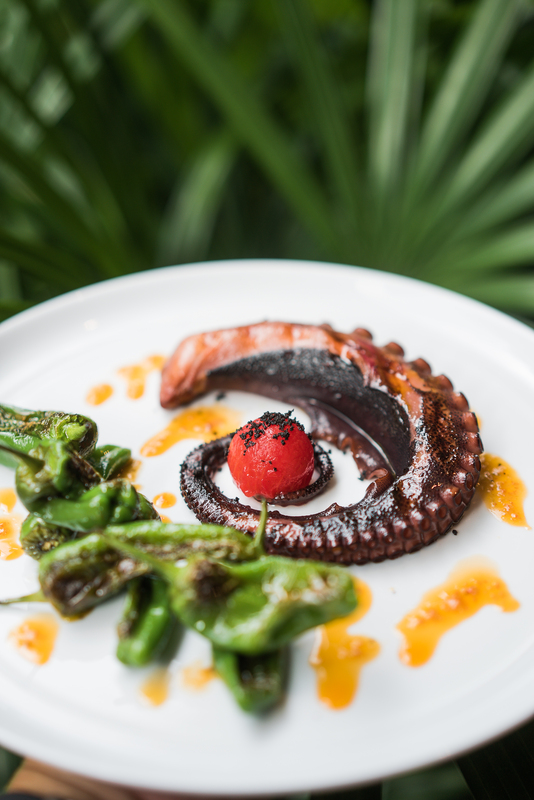 Grilled octopus is also available at Amò. Do save space for dessert. We tried the ricotta cheese castagnole (S$15), which comprised crispy fried dough balls filled with cheese, and came with a dipping bowl of fluffy moscato-infused sabayon. Sweet and savoury, this concoction ticked all the right boxes for a satisfying finale to our meal. With its hearty pizzas and pastas, Amò is the type of place we’d visit for an indulgent #cheatday meal after a busy work week. Its relaxed vibe and prime location also makes it ideal for big group gatherings. Next on our agenda is to stop by for its three-course weekday lunch set, which consists of an appetiser, pasta, pizza or main, and dessert. Needless to say, we’ll be going for the pizza.